“`John Glenn’s 1962 flight as our first United States astronaut to orbit the Earth made him an all-American icon, and propelled him to a long career in the United States Senate. He was an ultimate survivor of the original Mercury 7 astronauts. Political service allowed him to return to space in the shuttle Discovery at age 77 in 1998; a cosmic victory lap, and he turned it into a teachable moment about growing old. He holds the record as the oldest person in space. Glenn remains a national folk hero: He was a combat veteran with nerves of steel; public schools, a space center, and the Columbus, Ohio airport were named after him. “`John Herschel Glenn Jr. (above) had two major career paths that often intersected – flying and politics – and he soared in both. He was a fighter pilot in World War II and Korea, whose plane was riddled with bullets, and flew with baseball great Ted Williams during 149 combat missions. And, as a test pilot, he broke aviation records, and set the transcontinental speed record. The telegenic Marine even won $25,000 on the game show Name That Tune. That was before April 6th, 1959, when his life changed by being chosen as one of the Mercury 7 astronauts. “`After two suborbital flights by Alan Shepard Jr. and Gus Grissom, Glenn became the initial American to orbit the Earth. At the age of 40, Glenn began his 4 hours, 55 minutes, and 23 seconds in space. His ride in the cramped Friendship 7 capsule had its very scary moments, however. Sensors showed his heat shield had loosened up after three orbits. Mission Control worried he might burn up during re-entry as temps approached 3,000 degrees. Fortunately, the heat shield held. Glenn often joked that the one peer he ever envied was fellow Ohioan: Neil Armstrong, the first man to walk on the moon. “`The mission also guided Glenn into politics. He addressed a joint session of Congress, and dined at the White House. He became close with President John F. Kennedy, and a friend and ally of his brother, Robert. They urged him to run for office. Glenn would eventually spend 24 years in the Senate, representing Ohio longer than any senator in the state’s storied history. He became a leading expert on nuclear weaponry, and he was the most dogged advocate of non-proliferation. The senator was the leading supporter of the B-1 Bomber. As chairman of the Governmental Affairs Committee, Glenn addressed excess waste and fraud in the federal bureaucracy. He announced his retirement in 1997, 35 years to the day after his memorable orbit in space. A rare setback was his failed 1984 presidential run. 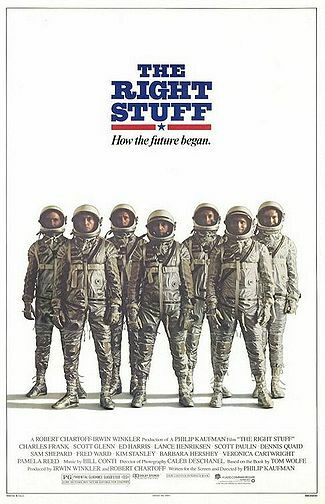 “`Shortly before he ran for the Democratic presidential nomination, a new generation of Americans was introduced to John Glenn with the cinematic adaptation of Tom Wolfe’s book, The Right Stuff. He was portrayed as a straight arrow amid a group of rowdy astronauts. John guest-starred in a humorous episode of Frasier, a decade later, playing himself. “`He spent his later years at the John Glenn School of Public Affairs at Ohio State University, which houses an archive of his private papers and photos. Glenn received the Congressional Space Medal of Honor in 1978, and he was inducted into the U.S Astronaut Hall of Fame in 1990. Plus, John was happily married to his bride, Annie, for 73 years. “`John Glenn will lie in state in Ohio’s Capitol Building before a celebration of life. The public viewing and memorial service at Ohio State’s Mershon Auditorium are planned for late next week. President Obama ordered American flags flown at half-staff until sunset on the day of his internment at federal buildings, and on military ships around the world. He will be laid to rest at Arlington National Cemetery. 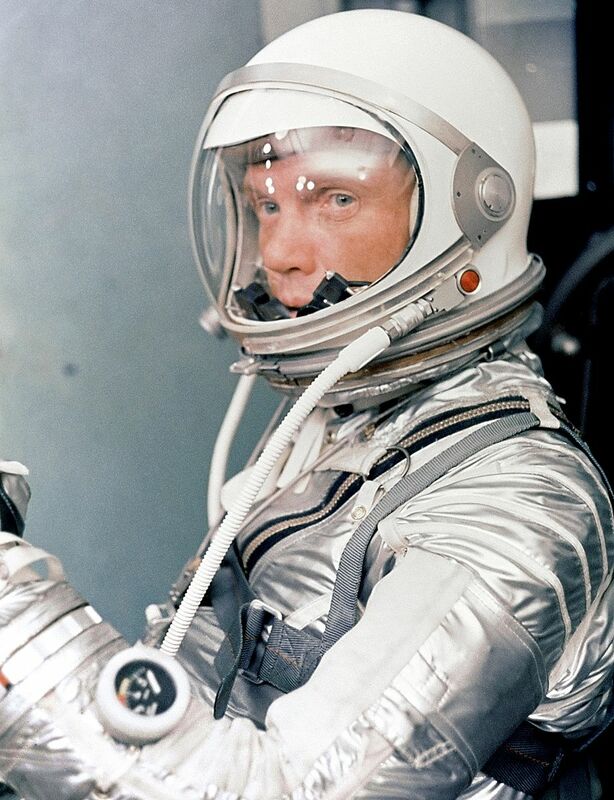 “`The man with the right stuff… John Glenn was 95. This entry was posted on Thursday, December 8th, 2016 at 3:33 pm	and is filed under Blog by Manny Pacheco. You can follow any comments to this post through the RSS 2.0 feed. Responses are currently closed, but you can trackback from your own site.